Although we always love doing these articles, this particular article is incredibly difficult to do since there are so many wonderful breeds out there. If we missed out some of your favorite breeds – sorry! We had to eliminate some of ours too. 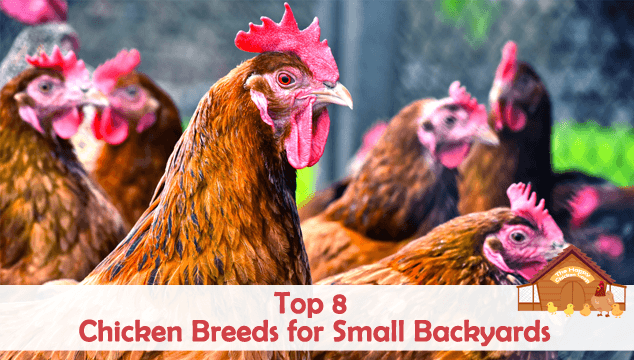 The key words used here are small and backyards, so with that in mind – here’s our top 8 chicken breeds for small backyards! P.S. 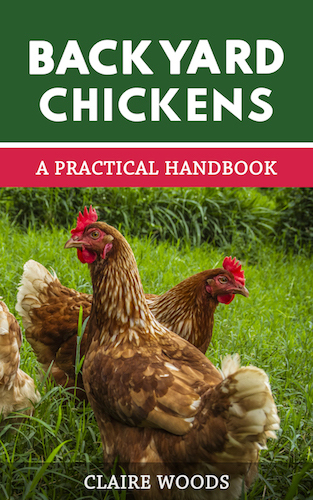 We’ve also done other lists including: 10 Breeds of Chicken That Will Lay Lots of Eggs, and 7 Chicken Breeds That Do Well in Cold Climates. OK, so Easter Egger isn’t a ‘breed’ technically, but we picked this one for egg color variety! The Easter Eggers can lay a variety of colors (one color per bird), anywhere from brown to blue to green or pink! They are a hybrid bird created from the same foundation stock that produced Araucanas and Ameraucanas; they are then crossed with another breed to give a variety of egg colorations. Easter Eggers are a very friendly bird even with children. They are described as sweet, docile, quiet, curious and calm by their owners. They are winter hardy to most climates and also tolerate heat very well. They are good all-rounders in many respects. Although they enjoy foraging or following you around the yard, they do well enough if confined to a coop. 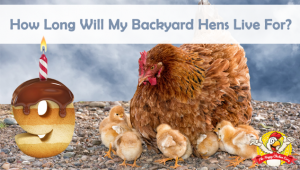 Hens will grow to around 6lb and should lay around 4 large, colored eggs each week. Buff Orpingtons have a steadfast following. They are quite regal and very gentle hens. They are a bit on the larger size for standard birds, but most of that is feathering. 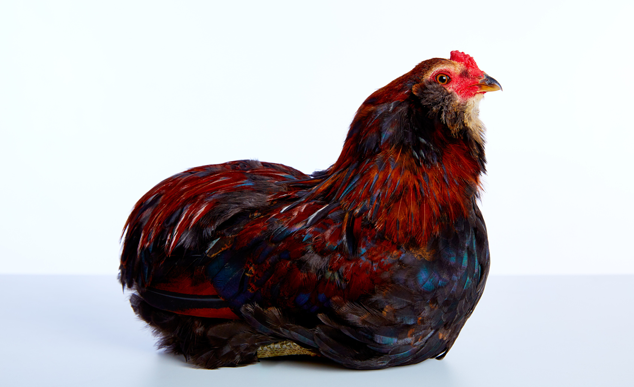 The feathering is prolific and fluffy – underneath all that fluff is a hen that in reality only weighs around 7lb! 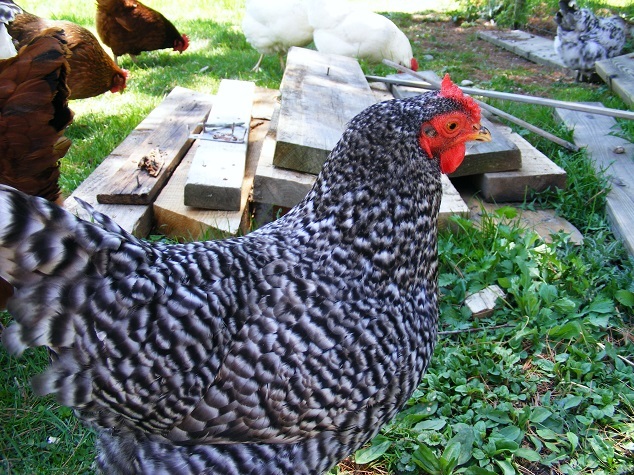 They are the poster girl for backyard hens; calm, cuddly, docile and quiet. They do well with kids so are ideal for a family situation. Buff Orpingtons will lay 200-280 large brown eggs/year which is 4 or 5 eggs per week. They can be a bit on the broody side but they do make great mothers to their brood. 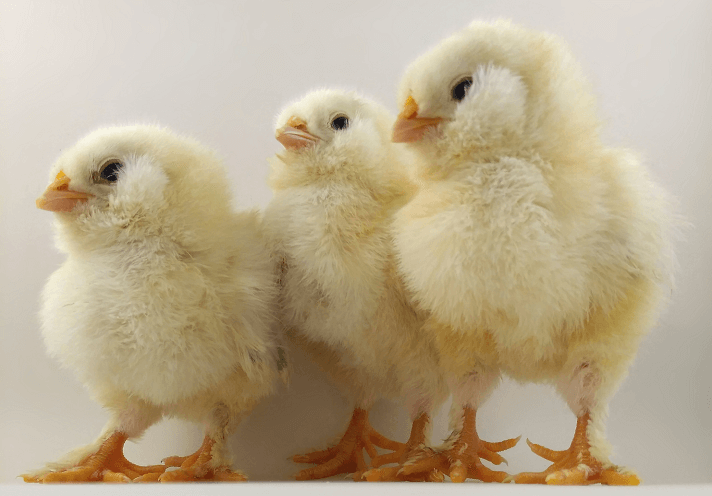 If you are getting Buff Orpingtons, read Buff Orpington all you need to know. Australia’s answer to the Orpington! This lovely bird comes in a couple of colors but is usually seen in black; other color varieties generally cost more. The feathering is not as exuberant as the Orpington, but it has a beautiful greenish iridescence in sunlight. 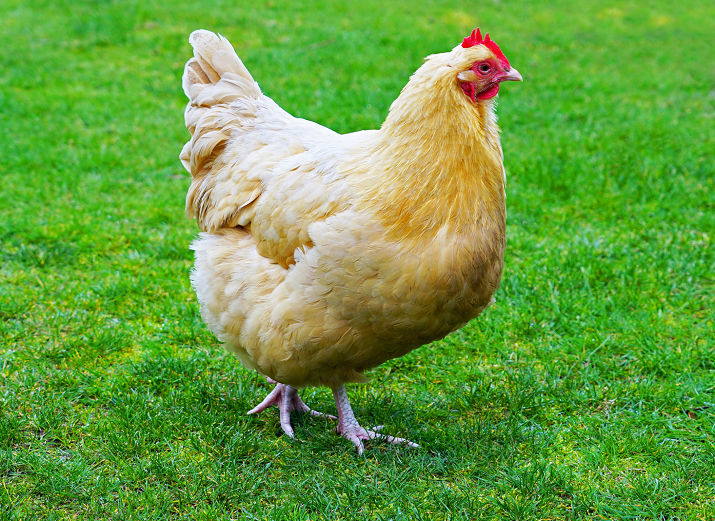 They have a similar personality to the Orpington – sweet, calm, docile and friendly. They often become family pets and enjoy cuddles. They enjoy human company and often become attached to their human. Australorps were originally raised as a dual purpose breed with hens weighing in around 7lb. They are very good layers and will lay between 4-5 light brown eggs weekly. They do occasionally go broody, but if you want to raise some chicks they make great mothers. In addition, they are both cold and heat hardy, nothing much fazes them weather-wise, even snow! They very much enjoy foraging in the yard but will tolerate confinement pretty well. They are quite happy to have a small amount of supervised forage time daily as they enjoy being active. 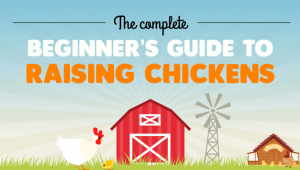 If you’re thinking of getting Australorps, read our comprehensive care guide here. Salmon Faverolles are becoming increasingly popular with very good reason – they are a fun chicken! They are a riot of fluffy light brown/salmon colored feathers – including their legs and feet! Their personality has been described as exuberant, curious, friendly, docile and interactive. They always want to know what you are doing and help if they can. Faverolles are not the brightest star of the barnyard but they are adorable. They are also very unique in their looks, with a beard, muff, feathered legs and five toes! All of this combines to give you a chicken that makes you smile. Created as a dual purpose breed, they are good egg layers contributing 4-5 light brown/cream eggs per week. Although they do bear confinement well they are fun to watch foraging as they race around the yard often bumping into each other! They are great with kids as they love to be held. They are also very talkative, but not loud or overly noisy – you can’t stay grumpy for long if you have Faverolles in your flock! The Dominique is an old breed that is now considered “watch status” according to the American Livestock Breed Conservancy. However, it has slowly been making a comeback from the brink of extinction, which is great because they really are a super little hen. The Dominique was America’s first chicken! Its exact origin is unknown, but this thrifty little bird helped the colonists survive the harsh new territory they inhabited. They are a good forager although they will tolerate confinement very well. It is not a demanding bird – very calm and human friendly. They are also quiet and unobtrusive. It is a medium sized bird with beautiful barred (cuckoo) plumage which helps to disguise it from aerial predators. The Dominique sports a rose comb so frostbite rarely bothers this bird. They are also tolerant of heat and humidity. 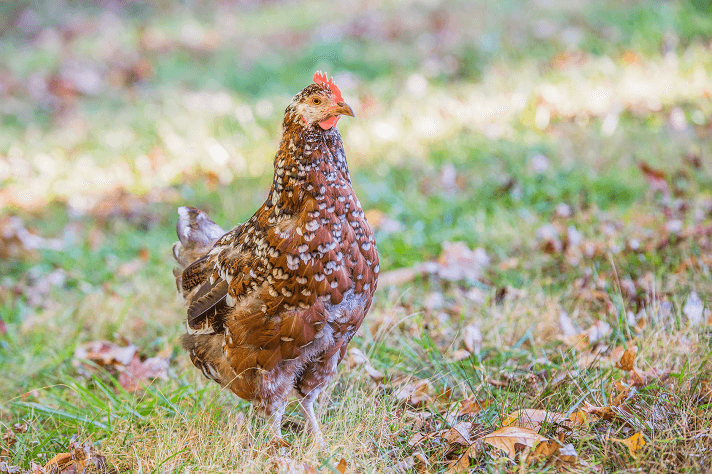 The hens weigh in around 5lb and will lay you between 230-275 light brown eggs per year – that averages to 4-5 eggs per week. 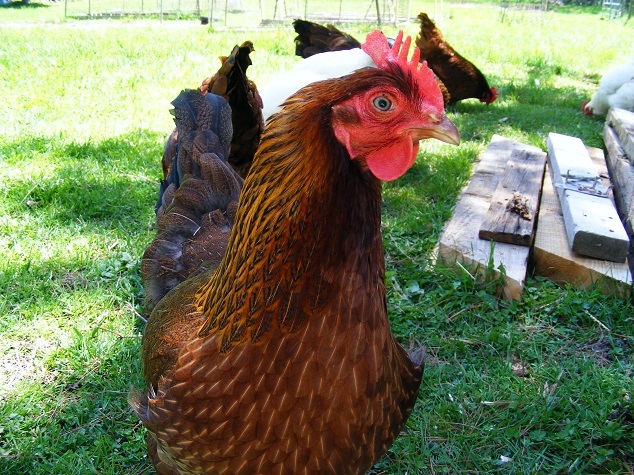 Plymouth rocks are an old breed and are a popular ‘base chicken’ for many other breeds. 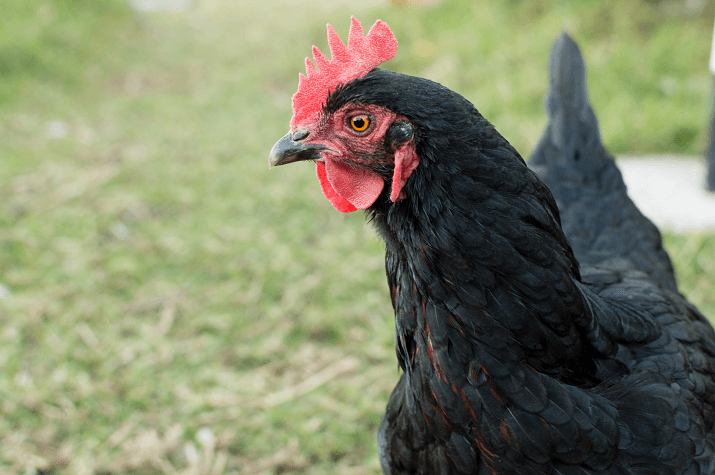 In the recent craze for ‘new and different’ the Plymouth Rock has lost a little popularity, which is a great shame since it is the perfect backyard chicken. They are said to be quiet, friendly and calm, have a sweet nature and love to be petted – a great family bird. They are also quite smart. This is another breed that was raised to be dual purpose, with hens reaching 7.5lb on maturity. Consistent layers, even through winter they will give you 4 large brown eggs per week. Since they like to be petted, they can become one of the family quite easily and relate well to other animals such as the family dog. Although they do tolerate confinement they do best if they can free range – even if for a limited period throughout the day. Welsummers are not lap chickens, but they do enjoy human interaction especially with treats in hand! Originally created in the Netherlands in the early 1920s’, this bird has become a firm favorite with many small flock keepers. They are a calm and friendly breed, very smart and fairly independent. They will tolerate confinement but prefer to free range if they can, and as they are great foragers you will save money on your feed bill if you allow them to roam. Their eggs are masterpieces – a rich terra cotta color and speckled; very eye catching and delicious. They lay 4-5 of these beauties per week. This is another breed that was meant to be dual purpose and the hens will weigh around 6-7lb. Welsummers are both heat and cold tolerant and their gold/black/red plumage is beautiful camouflage against aerial attacks. They are social with other birds and would blend in well with a mixed flock. One of the oldest breeds around, the Sussex originates from Sussex, England. This lovely bird has a friendly and mellow disposition. Always curious, the Sussex is likely to follow you around the yard looking for treats! They are a friendly and docile breed, talkative but not loud. The Sussex has a great temperament which makes them an ideal family bird. They are an active and alert breed, so really enjoy foraging in the yard although they will bear confinement too. They are quite cold hardy but don’t do quite so well in the heat, they would need lots of shade for those hazy summer days. Originally a dual purpose hen, she will weigh around 7lb and will give you 4-5 lightly tinted large eggs each week. The amazing speckled plumage gets better each year and is great camouflage against predators. All of the hens featured here are pretty good at integrating into a cohesive flock. None of them are known to be overly aggressive or pushy, although there is always the possibility depending on the line of breeding. The selections made here were done for the specific reasons mentioned above. If we missed out your favorites – sorry! We will doubtless be doing more ‘lists’ in the future so stay with us and wait for your favorites to do a ‘star turn’. How about Rhode Island Red hens? Are they good? Thanks. This is a great article. I have had many Rhode Island Reds, I presently have an Old RIR that hatched some Chicks and took on many more and she is Lovely..They are a Bird that Children can cuddle and they will follow you everywhere a great Layer.. I agree with the Speckled Sussex and Buff Orpingtons. I would also add the Jersey Giant. Our Jersey is not that much bigger than the other girls. These three are the calmest, friendliest and get along well with the flock. My Easter Eggers are much more skittish, do not like to be touched and peck at each other more than the others.